Eclipse 2017 Makes an Impact on Castle Rock’s Weather! 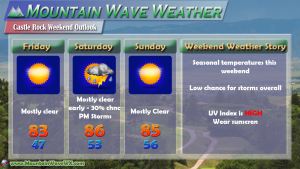 Our weather around the region will remain season this weekend with warmer temperatures in the 80’s during the day and lows in the mid to lower 50’s at night. 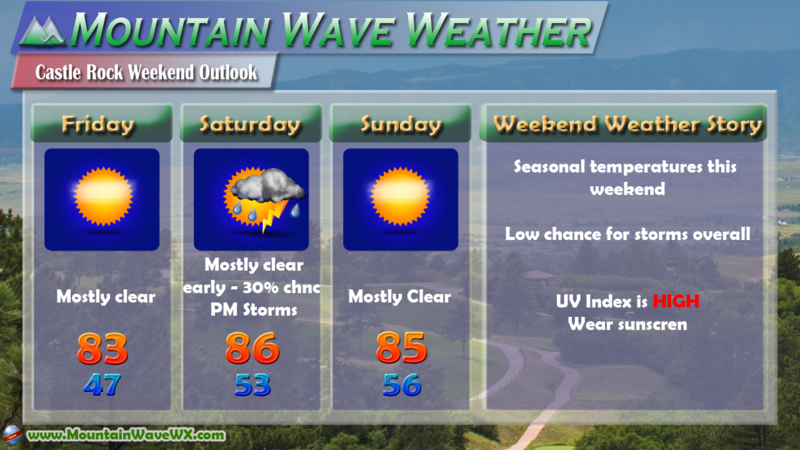 A slight chance of thunderstorms will be present each day but most areas will not see thunderstorm activity at all. Saturday will be the best chance to see rain in our area but even still, the chance is at a low 30%. This product thanks to the NWS. It will continue to be updated through Monday and slight changes can still be expected to the forecast. 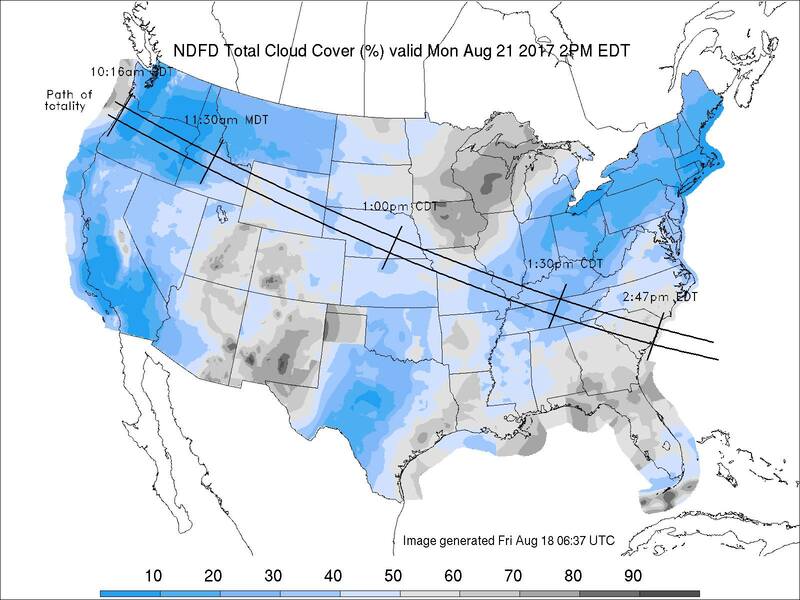 For the state of Colorado the best viewing areas for the Eclipse on Monday look to be the Eastern part of the state. Expect partly cloudy conditions with sky coverage between 10-30%, those areas should make for better viewing. Some of the poorer areas for Eclipse viewing will be in the mountains were pop up afternoon showers and thunderstorms may increase cloud coverage across the sky to as high as 60-80%. 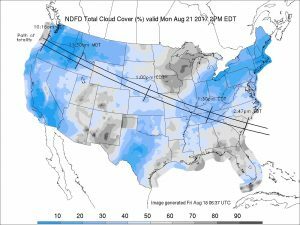 For the rest of the U.S. the best areas to see the Eclipse will be the Pacific Northwest and Midwest. These areas are expected to have clearer sky’s while some of the folks driving to Wyoming and Nebraska may need to shuffle their positions around due to some cloudiness. We’ll have another cloud coverage forecast up on Sunday. Have a great weekend!